I was lead singer in a marvellous summer roadshow performed on Europe’s biggest moveable outdoor stage that went all around the French coast mixing circus acts, dance and song around the theme of sport. And it allowed me to sing suspended in the air eight metres above a stage for the very first time ! 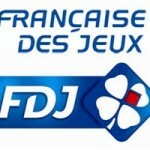 Produced by FDJ : « La Française des Jeux » and presented by Stéphane Jobert (2009).